Well, this week is the week that ALMOST was. I got my photos edited, went to print them and I needed ink. I put new ink in and printed – the photos looked horrible. Turned out I needed another color of ink too and I didn’t have any on hand. Moreover, I could’t find a store in Nashvile that carried it. So I recropped my pics and sent them to Walgreens. When I sat down to work on my album late last night, several photos were missing from my order. Sigh. So I just decided to let it go, go to bed and work on it this week (my ink should arrive today). Here is the spread in process. Next week will be a better week! 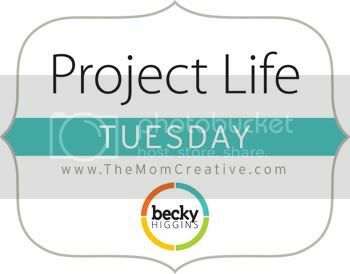 How are you doing on Project Life? Sorry PL didn’t work for you this week, it can be frustrating at times when printing out doesn’t work for us. That has happened to me when ordering from Walgreens and their printer is down and I can’t get my prints back soon enough. Hope it works out for you when the ink comes and you can get them done. Thanks again for letting us link up here with you. The little peek of pictures you have here look cute to me. Ugh! My local Walgreens had a paper jam this week. I had to send them off to another store the next town over. Oh no, hopefully it will be better next week 🙂 Hope the birthday parties go well this week. Since Project Life is all about relieving you of the stress of getting it all done, I’m usually at least 2-3 weeks behind. I wait until Walgreens has a sale and have them printed and then work on the layouts. I take notes on our large refrigerator calendar so I can remember things and will sometimes go ahead and do the journaling cards . 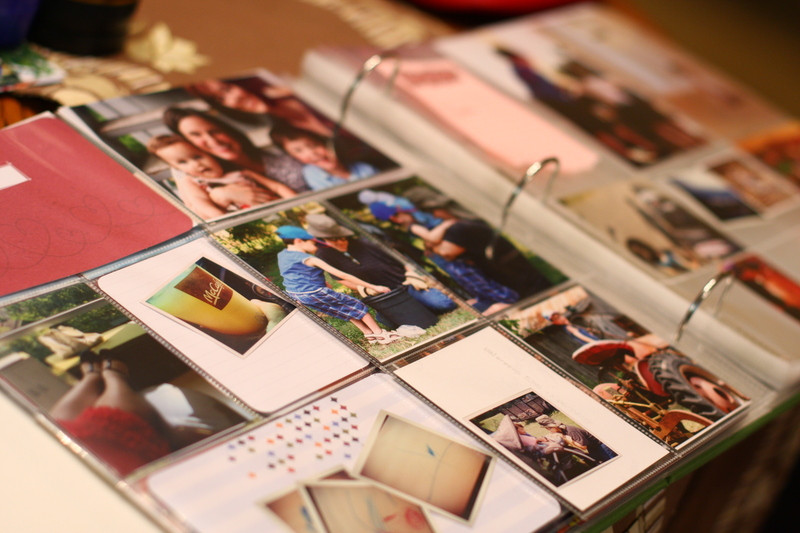 I also print a lot of journaling from my blog to use for my album. I’ve been doing 52 Lists in 52 Weeks and will use these lists for my pages. What is the 52 lists you mentioned? Would love to learn more. I am getting caught up this week. I got all the pictures in, now I just need to do my journaling cards for the last 2 months 🙂 luckily weekly posting them on my blog helps with that. I just copy what I wrote in the blog post. Happy PJ this next week! Yeah, all my journaling is on my blog too – for the past four years… I still have to go back and do years worth of cards! That’s funny, I’m in progress myself this week. Sigh. It’ll get done 🙂 Good luck! Sounds familiar! I ordered my pictures, sat down to work on it and decided to pull all of the sprinkler/water guns/water balloons pictures out for an insert which means I have 6 empty 3×4 slots! However, since I’m working on week 24 and living week 26, I decided to go ahead and get week 25 pictures photoshopped and printed at the same time. So maybe this means I’m actually a week ahead of normal? Even though I didn’t finish week 24’s layout yet. Oh well, I will just have to finish it up tomorrow night. I thought about you Jessica this week because I have baby #1 due in less than 2 weeks and it was truly bugging me how behind I was in my Project Life (I’m not even doing the 365 project this year as I did last year) so I really had no excuse. I’m truly trying this year to do more creative spreads/use all the different stuff I bought from becky’s PL stuff…and it is a lot more enjoyable this year…I FINALLY sat down this past weekend and caught completely up on the year – I was so excited – it actually helped that I had let some time pass because I didn’t use as many pictures and was much happier with my layouts (I also included some traditional scrapbooking pages which is just so much fun!) – I put the rest of the unused pics in this neat plastic case I got from Hobby Lobby (it’s one big plastic case with I think 6 different little plastic cases in it that each hold 100 photos) – and I feel so organized & ready for this baby…it’s truly because you post every week that I’m motivated to stay on top of it and put time against it…sorry you had a rough time this week, I too wait for Walgreens (as someone else mentioned) to have specials and print a bunch at once…and I’m always a few weeks behind – but love that feeling of the book being caught up! Just wanted to share & say HI!